Markets welcomed news that UK economic growth expanded in the second quarter. The latest estimates from the Office for National Statistics showed growth increased by 0.7% from the first quarter. This brings annual quarter on quarter growth to 2.6%. The figures were in line with the consensus forecasts markets were expecting. Despite the positive headlines a glance at the detail revealed that most of the growth was down to a sharp expansion in oil and gas production. This however will likely be a one off factor arising from tax breaks given to North Sea oil producers earlier in the year. Likewise the services sector expanded strongly but worryingly construction, agriculture and manufacturing all underperformed during the quarter. Efforts to rebalance the British economy away from the dominant services sector are yet to be felt. The strength of sterling was also a likely contributor to slow activity in manufacturing. Key export markets such as the Eurozone have been affected by the 12% fall in the value of the euro sterling rate. 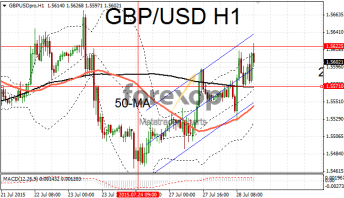 GBP/USD extended its three day rally moving back above 1.56 for the first time in four days. “Cable” remains above the support area at 1.5570. The next test will be resistance at 1.5622. Attention will be on the Fed’s monetary policy statement tomorrow following its two day meeting. The US dollar recovered some of yesterday’s losses as markets prepare for any further hints as to the timing of the first rate rises. 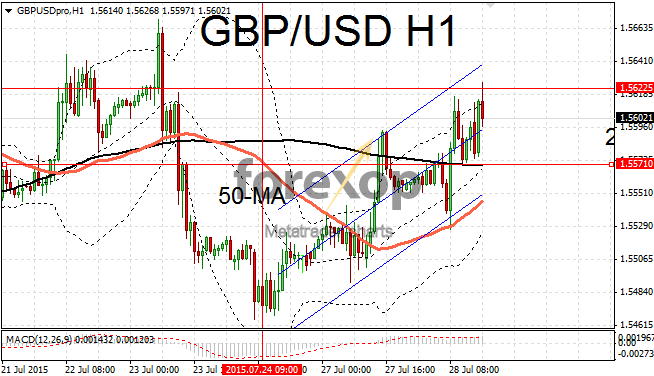 EUR/GBP was trading back towards 0.7079 against the stronger pound. The pair made a bullish crossover of the 50-day moving average yesterday but the rally failed to extend any further and the downside is quickly reasserting itself. 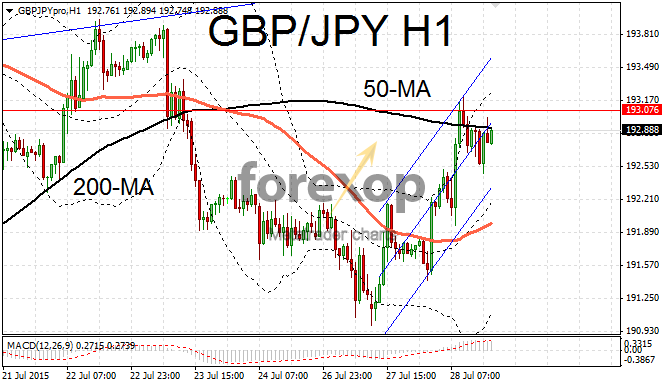 Sterling also rebounded solidly against the yen taking GBP/JPY back up to 192.86. The pair remains under the key resistance at 192.86 after gaining 0.8%. Support is likely at 192.52.